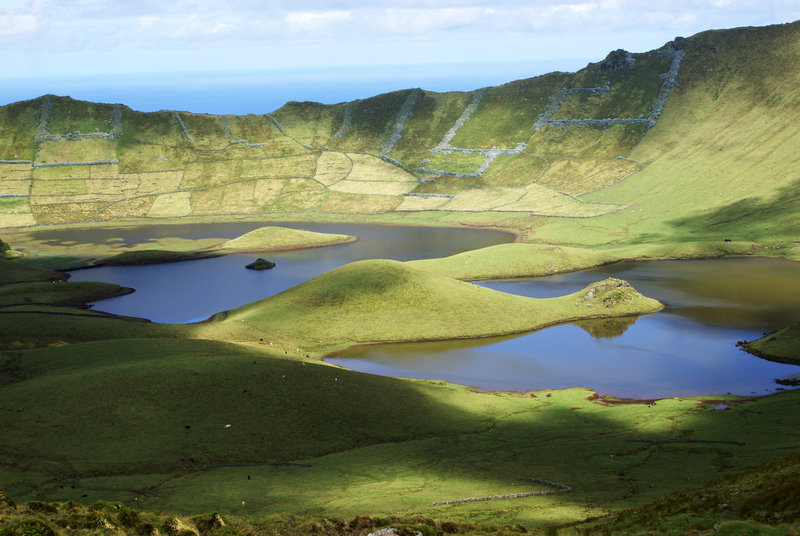 The smallest island of the Azores, with 6.24 kilometers long and 3.99 kilometers wide, its oval and elongated surface according to a north-south direction covers an area of 17.1 km 2 . This island is part of the archipelago of the Western Group together with the island of Flores, which is 17.9 kilometers away. The highest point of Corvo with 720 meters high and is the Estreitinho zone. Corvo Island was first sighting by Portuguese navigator Diogo de Teive in 1452, the same period that the island of Flores was discovered. 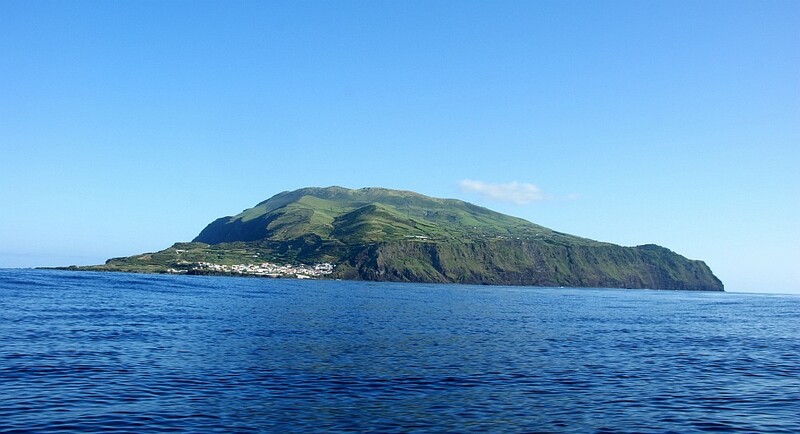 With its small size, Crow did not arouse great attention on the part of settlers and colonizers of the Azores, but his pure state was broken in the sixteenth century, when the arrival of a group of slaves from Cape Verde, sent by the captain-donee Gonçalo de Sousa, so that they could dedicate themselves to the cultivation of land and livestock. Already in 1580, a contingent of colonists Flores has increased the local population on the small island. With a calm and serene life, regulated by the rhythms of agriculture, fisheries and livestock, it was the community’s subsistence, however, this island was not completely isolated due to its geographical position with a border line combining the Portuguese Armed that went there to receive the sailings originating Empire Portuguese and Spanish, accompanying them to continental Europe. Thus, the fully insulation is broken at the end of the sixteenth century and during the seventeenth century, when it was frequented by privateers and pirates, who sought to serve and hostages, however, always tough, the population hurls the invasion of Barbary pirates with stones , praying the legend that had help in this battle by the patroness Our Lady of the Rosary, that “eschewed all shots sent by the pirates and returned them multiplied to the boats the Moors, managing to put them into disparages” getting thus this holy known as Our Lady of Miracles. The bravery of Corvo is enhanced once more in 1832, when a group moves to the island of Terceira, ask for relief from the heavy tribute paid to the donee of the island and the Crown, impressed with slavery experienced by Corvo, Minister king Pedro IV, Mouzinho da Silveira proposes to annul the tax in cash and halving payment in wheat. That same year, the village of Corvo is elevated to a town and county seat, denominating then Vila do Corvo. In the eighteenth and nineteenth century, American whalers reach the coast of the islands of the Western Group and some Corvo are recruited to hunt sperm whales, earning a reputation for courageous harpoon. However, over the years, the population decline is caused by the emigration to the United States and Canada. 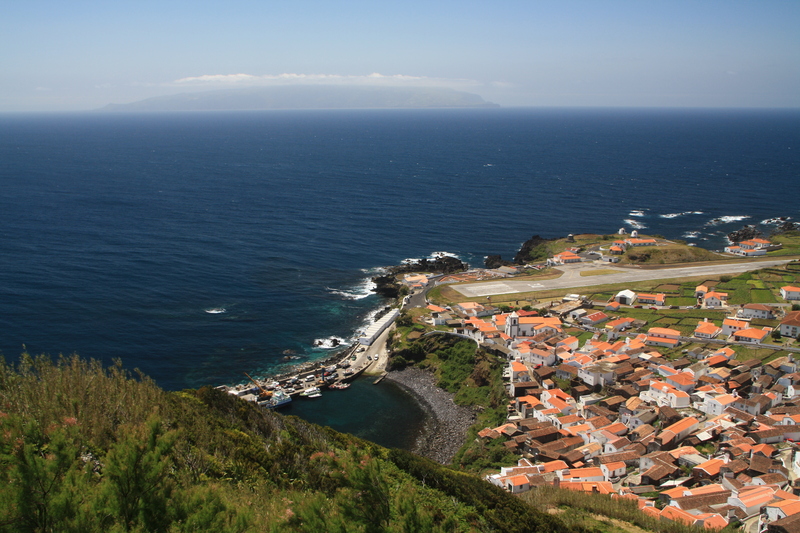 In 1983, with the opening of Corvo aerodrome is a turning point in the modernization of infrastructure and the Raven in 1991, routes were established regular areas of Flores, Faial and Terceira, which promotes the full integration of Corvo in the dynamics of the Azores. However, it lost its essence, and agricultural activities remains the master lock on the local economy.